Egon (Flores): An eruption warning remains in place. 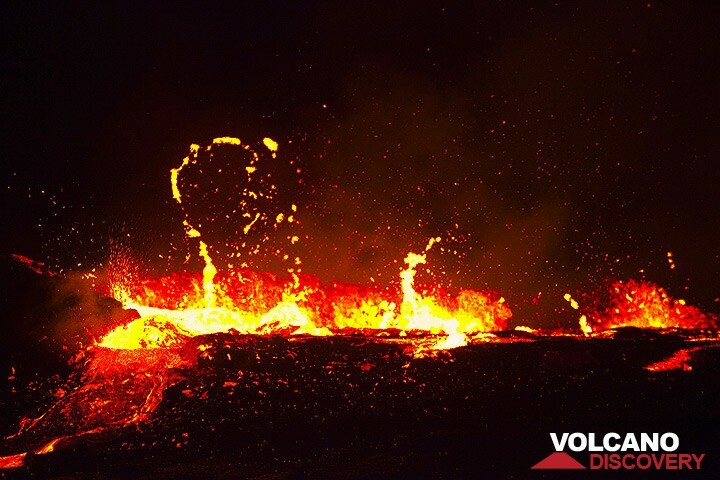 Increased sulfur smells have been noted from the volcano which had been raised to second highest alert on 13 Jan.
Erta Ale (Danakil depression, Ethiopia): (18 Jan) The lava lake of Erta Ale has overflown, our correspondents from Ethiopia reported. The first lava over-spilled the rim of the containing crater at midnight of 15-16 Jan 2016. It seems that the situation is similar to the spectacular events in November/December 2010 when the lava lake last overflowed.